Included in Renegar-Driggers Machinery’s order is the 4-axle, 120-ton (100-t) capacity class, Demag AC 100-4L all terrain crane, a pair of 5-axle, 180-ton (160-t) capacity class, Demag AC 160-5 all terrain cranes, and the three 5-axle, 245-ton (220-t) capacity class, Demag AC 220-5 all terrain cranes. 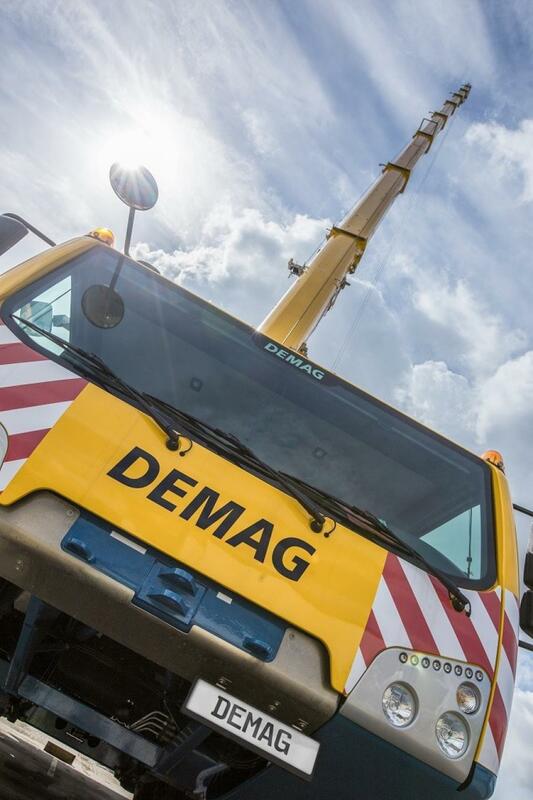 Southeastern USA and Caribbean Island Terex Cranes distributor Renegar-Driggers will soon add six new Demag all terrain cranes to its inventory, including one AC 100-4L unit, two AC 160-5 models and three AC 220-5 units. The recently placed order will help Renegar-Driggers Machinery continue to support its customers and their heavy workload. Demag all terrain cranes are equipped with the industry's latest technology, including a single engine concept that reduces operational and maintenance costs by using an intelligent motor management system to deliver the precise amount of power needed on the road and for lifting applications. These units also are equipped with the Demag IC-1 Plus control system, which delivers the crane's maximum allowable lifting capacity based on the slewing angle for every crane configuration. Included in Renegar-Driggers Machinery's order is the 4-axle, 120-ton (100-t) capacity class, Demag AC 100-4L all terrain crane, a pair of 5-axle, 180-ton (160-t) capacity class, Demag AC 160-5 all terrain cranes, and the three 5-axle, 245-ton (220-t) capacity class, Demag AC 220-5 all terrain cranes. Renegar-Driggers Machinery is scheduled to take delivery of the cranes over the next several months. About Renegar-Driggers Machinery Co. Inc.
Renegar-Driggers Machinery Co. Inc., established in 1985, is the Authorized Terex Cranes Dealer for Florida, Tennessee, South Carolina and the Caribbean. With offices in Miami, Fla., Cleveland, Tenn., and Charleston, S.C., the company offers sales and parts and service for all Terex and Demag cranes, including legacy brands American, P&H and Lorain. For more information, visit www.rdcranes.com.